We offer document scanning services to speed up the process of converting records to digital imaging. Using state of the art scanning equipment, we are able to provide document scanning services for converting records to digital imaging securely, affordably and quickly. We work with clients that range from small businesses to very large corporations across all industries, to help migrate your scanned documents across the enterprise to ensure the availability, integrity, and longevity of your records and information. 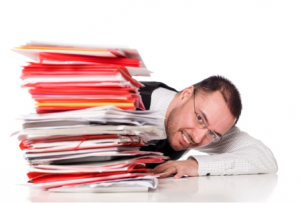 Our document scanning services can stand alone, but we also offer records management consulting to help you create a complete program for document and data management. We will help you plan for the unexpected with our disaster recovery planning services to ensure the integrity of your business. Whether its microfilm, paper, microfiche, or a combination, our clients rely on us to manage and digitize their business critical information. Is it Time for Your Business to Move From Paper to Digital Imaging? To find out more information on our document scanning services for converting records to digital imaging, just give us a call at 1-800-803-1083 or send us an email. We will put you in touch with one of our records management consultants that will provide you with more details and guide you through the digital imaging process. Digital imaging technology is increasingly important in litigation support. Law Firms that use digital imaging technology realize immediate performance and productivity gains that improve the management of litigation cases, evidentiary documents, discovery files, due diligence records and boilerplate documents. Southwest Solutions Group is a leading provider of secure high resolution scanning, document coding, Bates stamping and full page OCR scans to assist your law firm. Our free trial offer includes a full featured document imaging configuration for you to use free for 60 days. There are no restrictions on use within your organization. In addition, we will scan a sample set of files and load them into your viewer to demonstrate the imaging quality of scanned files. 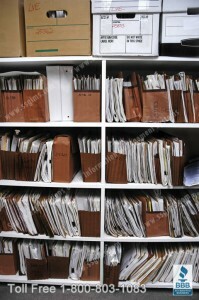 We guarantee that our scanned files will be compatible with your practice management and litigation support application. Southwest Solutions Group is more than a digital imaging conversion company. 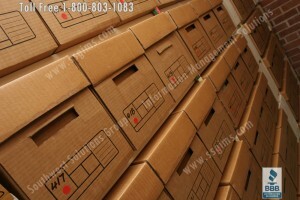 Southwest Solutions Group has been providing filing products and records management consulting to law firms since 1969. Because we have been helping law firms for years with their paper based filing systems, we understand the flow of critical business documents throughout their lifecycle, from point of creation to final disposition, which offers customers reduced risk and improved operational efficiencies with a verifiable return on investment. We have many qualified information specialists to help you understand the process and protect you from common pitfalls when converting from paper based filing to a document imaging system. 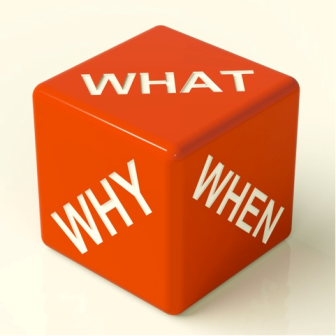 Why Electronic Medical Records (EMR)? Healthcare providers all across the U.S. are migrating their medical charts to Electronic Medical Records (EMR) to increase record accuracy, decrease waste, eliminate costly storage space, and improve patient care. Hospitals are also seeking to take advantage of government incentives under the American Recovery and Reinvestment Act (ARRA). Right now, everyone is focusing on the “carrot” of payments they can receive by implementing EMR. But the “stick” comes out in 2015, when hospitals that don’t meet federal guidelines for paperless records may be penalized with reduced Medicare reimbursements. What’s Holding Healthcare Organizations Back from Using EMR? The new government rules to EMR are confusing and picking the right document imaging software system is challenging. Plus, there is significant expense and disruption involved when you make such a big change in how medical records are handled. It’s just not feasible to expect hospitals to do this on their own without expert guidance from information management professionals. Software vendors are happy to sell you imaging hardware and advise you on how to install image software on your computer network; but that doesn’t help with the real-life obstacles you will face in converting your medical file charts to electronic images that can be located when you need them. Converting medical records to a document imaging system takes the help of a qualified information management specialist who has experience in the EMR imaging process and government requirements. A qualified information management specialist will help you understand the process and avoid common mistakes that can set your organization back. For example, EMR compatible medical records scanning involves more than simply scanning records and uploading a pdf of a patient’s chart into a database. If you don’t have federally approved quality controls in place, you may end up with a bunch of electronic records that are not considered true originals. That’s an excuse Medicare can use to deny payment. Below is an overview of ten steps to converting your medical documents to Electronic Medical Records. 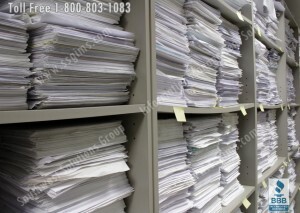 Visit www.ssgims.com or call 1-800-803-1083 for more information on document imaging consulting and conversion services.